The Royal Vaults, Hiltons and the entrance to the passage into Spicerstoke. The top right-hand corner (when viewed from this direction) of Butcher Row can be seen through the entrance. 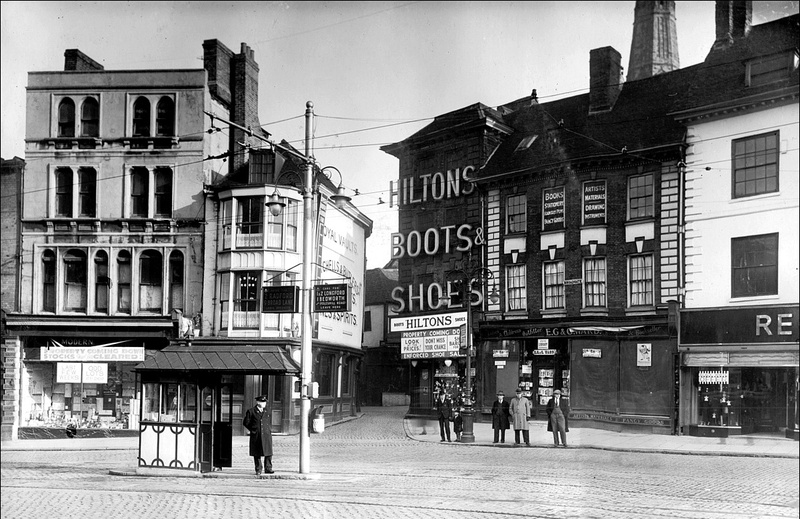 The notices on the shops mention final sales due to demolition, so this photo should be from 1936.